More Pokemon! 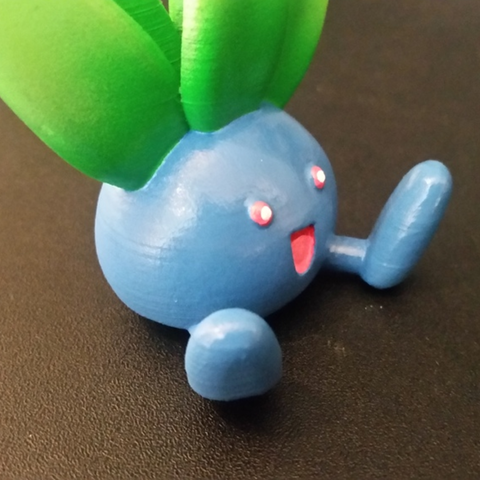 This time we're adding Oddish. And I made it a requirement for this build to make it printable without supports. And I think it came out really well. 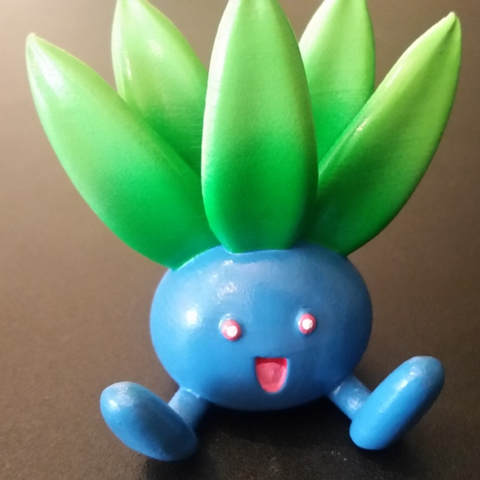 I created this model in Fusion 360 by mostly sculpting the big shapes while looking at a few reference images of Oddish. I started with the main body shape, then created the foot and leg, then finished it up by creating a big leaf to go on the head. After that I mirrored the leg, and created 5 different copies of the leaf to complete the head. Then finally I created a sketch to add on the mouth and eye details. After I printed it, my wife painted it by using a combination of paint brushing and airbrushing techniques.